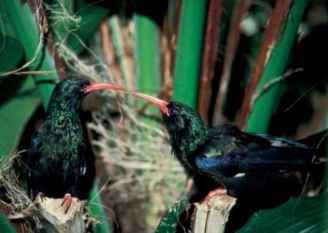 Medium-sized to small birds, mainly black, with a green or purple gloss to the plumage and a dark brown iris. In four species there are patches of white across the wing and on the tips of tail feathers. The broad, rounded wings and long, graduated tail allow buoyant, dexterous and, at times, rapid flight. The bill and feet are black in juveniles of all species, but the bill becomes orange-red in adults of three species, as do the feet in two species. 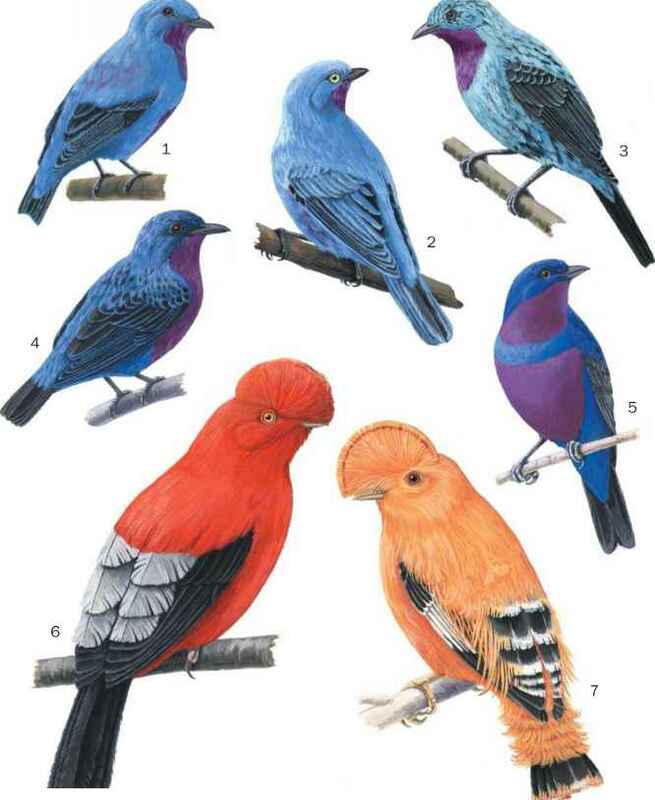 The bill is long, thin, and decurved, especially in two species of scimitarbill, as the name implies. The long toes, short legs, and hooked claws are thick and strong.